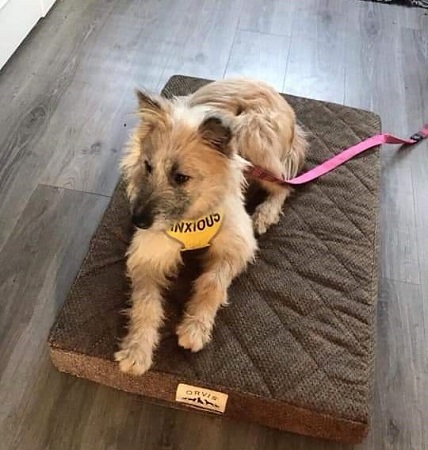 5/2/19 – Willow has found a new home! 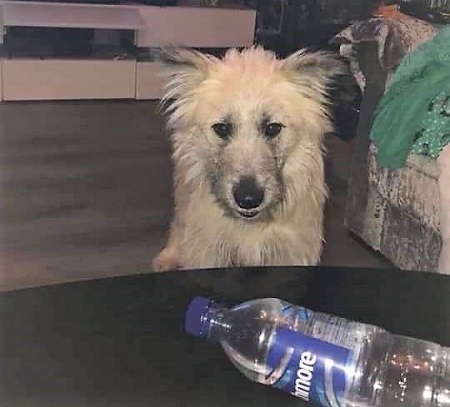 Please meet wonderfully fluffy and playful Willow who is looking for an equally wonderful new owner to live with in her forever home. 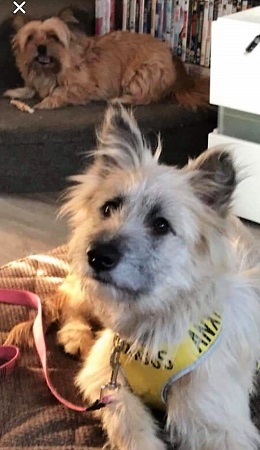 Willow is currently enjoying the comforts of being in a foster home in Kent provided by Pawprints to Freedom, but she desperately needs a place to call home forever where she will be loved. Willow also answers to the name of Peggy and she’s a small-sized 7 year old. Despite her age, she is still a puppy at heart and is always ready to play. 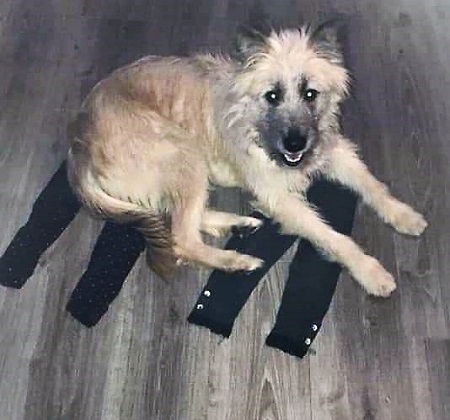 This pretty girl always loves lots of cuddles though she gets very excitable and, therefore, will need someone who can care for her with lots of time and patience. Willow is a good girl though she barks and lunges at other people on walks due to anxiety. However, this is improving. She gets on well with the other dogs she lives with in her foster home. She is a perfect companion who may need a little training but will definitely become your best friend. Willow is healthy with no known medical conditions and has been spayed. Please mention you saw Willow on the Oldies Club website.